Through monitoring and data collection we can demonstrate an accurate picture of habitats and species that need our protection and we’ve developed a reputation for our objectivity and knowledge. 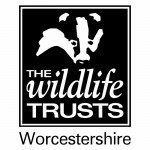 We’re one of 47 Wildlife Trusts across the UK and, together with the specialist skills and enthusiasm of our volunteers, our vast experience enables The Wildlife Trusts to manage hundreds of projects, campaigns and organise thousands of activities. Over the years our work has made a lasting difference to UK wildlife, including the Otters and Rivers Project, the water quality project Riverwatch and the dormouse re-introduction programme.